On Sunday night in Hershey, PA, St. Joseph's Prep completed a miracle run to the Pennsylvania football championship, striking several blows in favor of football from the region East of the Susquehanna River in the process. The Hawks became the bellwether of the Philadelphia Catholic League in its fight to gain acceptance in the PIAA. They knocked off rival La Salle -- who steamrolled Prep four years ago en route to their own Class 4A championship, then took out 2001 champions and perennial powerhouses Neshaminy immediately after conquering 2002 titlist Parkland. Saving the best for last, the Jesuit institution nestled in the heart of the Western portion of North Philadelphia knocked off previously unbeaten Pittsburgh Central Catholic, which was seeking its first state crown since 2007 as the top-ranked school in the Commonwealth. It was a masterful performance, with 28 straight points in the second half against the top-ranked defense in PA, after being down 10-7 at intermission. Their 21 fourth-quarter points set a record for the Quad A title game, which had been 19 for Central Bucks West back in 1991. Read the recap from the Inquirer, then get the scoop plus video highlights, from the Post-Gazette. 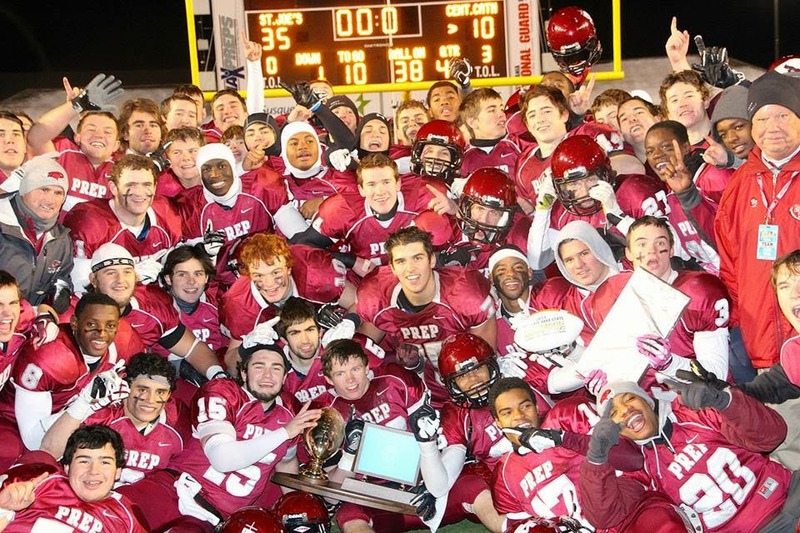 According to several sites dialed into the high school game, the Prep endured the toughest schedule of any school, and passing through the gauntlet provided the greatest reward. It marks the apex of a program which began its ascent towards relevance beyond the Delaware Valley with the 1997 Catholic League championship under Gil Brooks and culminated 90 miles West 16 years later with Gabe Infante at the helm. The victory was so unexpected and monumental, that the school called its own number (218) and will not hold classes on Monday. Plans to officially celebrate the championship will be made shortly.